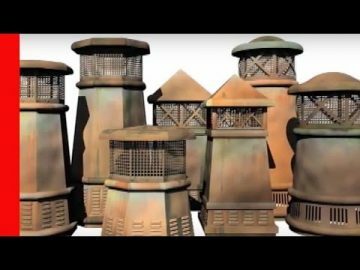 Below are some of our videos we have created to help people understand chimney problems and potential solutions. Check us out on youtube to view over 100 videos on fireplace and chimney related issues. What is a chimney cap and what is the purpose of having one? There are many, many homes in the United States that do not have a chimney cap mounted on the chimney, and, on rare occasions, some people never need to install one. It is required by most building codes to have a chimney cap however, and for good reason. Chimney caps protect the chimney. They not only prevent rain from falling straight down into the flue system, they also keep debris out. Water that falls into the chimney will increase the rate that creosote glazes and tars. This makes removing creosote that much harder. Similarly, any debris brought into the chimney by birds or raccoons is extremely dangerous. This can catch fire up in the middle of the chimney, causing a chimney fire which can really damage the chimney, roof, and even burn the house down. There are many reasons why your chimney may need a chimney liner. The tiles in your flue may have cracked for any number of reasons. If these tiles are damaged in any way the chimney is not safe to burn and should be relined with a stainless steel liner prior to use. If you are driving down the street in your neighborhood and you look up and see blue tarps, waving in the wind on top of the chimney, you can pretty much bet that this is a temporary solution to a very aggravating water problem. There are many areas in a chimney where water can enter into a home. Areas of a chimney that appear to be soaking up water after a rain, are a tell-tale sign of a need for an application of silane/siloxane chimney water repellent. When a chimney fire occurs or lightning strikes your chimney, damage is incurred. Most folks’ insurance policies cover such occurrences, and a chimney professional must try to help homeowners to make the insurance process go as smoothly as possible. My number one recommendation when it comes to insurance claims, no matter what kind of insurance, is to document everything at the very beginning of the process. You need to be sure to document the date it occurred, the name of the professional(s) who come out to evaluate the situation, and the date(s) the professional evaluated the situation. Your professional should also be doing some documentation as well. This is a video showing you the proper way to clean and inspect your chimney. Have you noticed dark stains appearing on your ceiling after a rain storm? If so, here are some tips for finding the source of water entry. This video tells you about some of the problems a chimney sweep frequently encounters including water condensation problems, and how they are dealt with. If you notice rust stains on the top of your chimney chase cover, you need to replace it quickly before water starts to leak into your chimney. We recommend using stainless steel, for a more affordable, durable, and stronger product. Chimney crowns are meant to shed water, but when they fail, water damage can cause brick spalling and efflorescence. Keeping your chimney water-proofed will prevent many of these problems! Flashing provides protection against water for your chimney. This video shows how to both install new flashing and repair flashing that has deteriorated. If you spot water stains on the outside of your chimney, you can bet that it need a water repellent treatment. Protect your chimney from future damage by using products such as ChimneySaver and Crack and Joint Sealant, and by taking advantage of these tips. Wood burning is a fun and carbon-neutral way to heat your home. Watch as we install a Regency i2400 Wood Stove Insert. Chimney crowns are very important because they protect the bricks below them. We used a product called CrownCoat to seal the cracks and protect the crown from future damage. Stainless steel chimney caps are great for keeping out unwanted precipitation, animals, and debris. 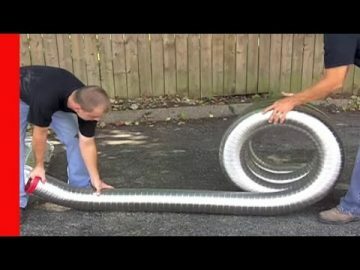 This video covers the installation of both single-flue and multi-flue caps. Creosote is a very dangerous substance to have in your chimney – along with causing unpleasant odors and corroding metal and mortar, it can cause damaging chimney fires. This video explains creosote, and shows some of the tools chimney sweeps use for removing this harmful substance.